Chillin with Mike and Spike at Union Market! 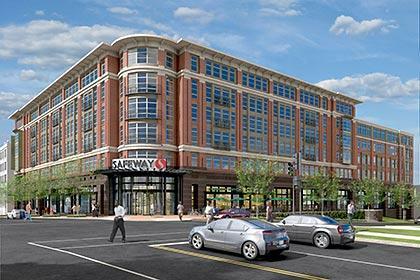 Union Market is the place to be when your tummy starts a-rumbling – even DC’s hottest chef’s think so! I ran into Mike Isabella and Spike Mendelsohn (both of whom used their Top Chef fame to build culinary empires here in DC) trying to decide which of the market’s many tasty offerings they were going to have for lunch today. Spike was interested in my suggestion of the new fishmonger’s Fish & Chips, but in the end they went with the Maketto pop-up from Toki Underground genius Erik Bruner-Yang. I was busy stuffing my face with a crabcake at Rappahannock Oysters. Honestly, you kind of can’t go wrong at Union Market. I’m just gonna let UrbanTurf and Trulia take it away on this one. Courtesy of Trulia Trends. To use the interactive map, click here. Despite rising home prices, it is still cheaper to buy than to rent in the DC area (along with the 100 largest metros in the country), according to a report published today by Trulia. Trulia sent UrbanTurf some DC-area specific stats, breaking down the region into the city proper and the surrounding counties from a rent versus buy perspective. Check out the data below. 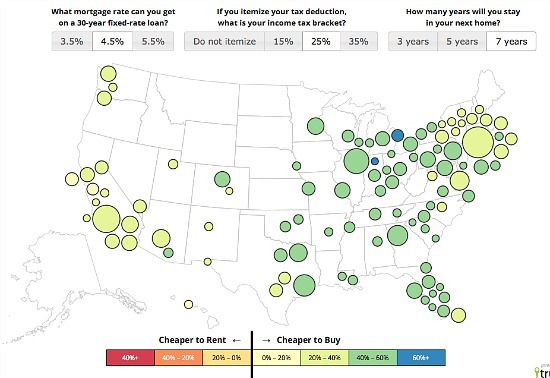 Note: Negative numbers indicate that buying costs less than renting. Now with rent-versus-buy analyses, there are always questions about methodology, so Trulia has laid out the step-by-step path they used to come up with rent-vs-buy determinations in metro areas around the country. In short, Trulia’s team compared the average rent and for-sale prices of an identical set of properties in each city, and then considered the present and future monthly costs associated with buying and renting and factored in one-time costs like down payments and security deposits. Trulia assumed that owners will have a 4.5 percent rate on a 30-year mortgage, put 20 percent down and will stay in their homes for seven years. However, they also created an interactive map to see how the numbers work with different assumptions. For example, if someone in the DC-area has a 4.7 percent interest rate on their mortgage, but plans on staying in their home for just five years, buying is 25 percent cheaper than renting. With plans to move after three years, the advantage of buying over renting drops off almost completely. If you don’t agree with the assumptions, Trulia has unveiled their own rent-versus-buy calculator, so that users can play around with specific numbers. In our rent vs. buy calculations, we use a conservative annual home price assumption that ranges between 1.7% and 3.1%, depending on the metro. The reality, though, is that there’s a huge degree of uncertainty about what home prices will actually do, and the cost of buying relative to renting could turn out to be a lot higher or lower than with our conservative baseline appreciation assumption. To see how much uncertainty there is around what could happen to home prices, we calculated the annual home price appreciation for the best and worst seven-year periods over the past 20 years for each metro, using Federal Housing Finance Agency (FHFA) price data. Homeowners: Are You Taking All of Your Tax Deductions? One of the joys of homeownership is the accompanying tax breaks. Do you know what all of them are? Here’s a great article that outlines the various tax breaks that homeowners can qualify for – make sure you know which ones apply to you! Also, note that this list does not include DC-specific tax credits, like the Homestead Exemption. Expect a follow-up post on those soon! U.S. tax season officially runs from Jan. 31 to April 15. While several energy-efficient home improvement tax credits recently expired, there are still many tax breaks available to homeowners. Whether you own a single-family home, condo, co-op apartment or mobile home, you may qualify — just be aware that, in most cases, you’ll need to itemize your taxes in order to take advantage of these deductions and credits. Here are a few of the tax breaks you’ll want to check out. Mortgage interest deduction: In most cases, you can deduct all of your home mortgage interest. How much you can deduct depends on when you took out the mortgage, the amount of the mortgage and how you use mortgage proceeds. You can deduct your home mortgage interest only if your mortgage is a secured debt. Your mortgage is a secured debt if you put your home up as collateral to protect the interests of the lender. You may qualify for a mortgage interest deduction on a loan secured for your primary and second home, even if your second home is a boat or RV with cooking, sleeping and bathroom facilities. The interest you pay on a mortgage for a third, fourth or fifth home may be deductible if the proceeds of the loan were used for business, investment or other deductible purposes; check with a tax accountant for details. Deduction of points: If you bought a home in 2013 and paid points in order to obtain your home mortgage, these fees are included on the income tax deductions list and can be deducted. If you refinanced your home, these points are still deductible, but it must be done over the life of the mortgage. Exclusion on sales gains: If you sold a home in 2013, you may qualify for an exclusion on the net sales gain (selling price minus purchase price plus improvements) of up to $250,000 for an individual or $500,000 for a couple. This exclusion requires that the home was used as your personal residence for two of the past five years. Things become more complicated if you lived in the house, moved out and then moved back in; be sure to consult a tax professional to see if you qualify for a partial exclusion. Deduction of property taxes: You can deduct your state and local property taxes, as long as they are based on the assessed value of the real property. If you pay your property taxes out-of-pocket, you need to locate your bills to determine how much you paid. If your money is being held in escrow for the purpose of paying property taxes, you cannot claim this deduction until the money is actually taken out of escrow and paid. If you receive a partial refund of your property tax, the amount of the deduction you can claim will be reduced. Mortgage insurance deduction: Mortgage insurance provided by the U.S. Department of Veterans Affairs is commonly known as a funding fee; if provided by the U.S. Department of Agriculture Rural Development, it’s referred to as a guarantee fee. The funding fee or guarantee fee can be included in the amount of your home loan or paid in full at the time of closing. These fees can be deducted fully in tax year 2013 if the mortgage insurance contract was issued in 2013. If you pay private mortgage insurance, or PMI, that’s a cost you probably won’t be able to deduct — unless you meet the requirements of a special PMI law that allows deductions of PMI payments on loans originated or refinanced between Jan. 1, 2007, and Dec. 31, 2013, and that meet certain loan amount limits. Home office deduction: Beginning in tax year 2013, taxpayers may use a simplified option when figuring the deduction for business use of their home. Both homeowners and renters can take advantage of this deduction, as long as the space serves as your principal place of business and is regularly and exclusively used for business purposes. You’re entitled to a deduction of $5 per square foot of the home used for business, up to 300 square feet. If the simplified option doesn’t appeal to you, you may still use the regular method (required for tax years 2012 and prior) and determine the actual expenses of your home office: mortgage interest, insurance, utilities, repairs and depreciation. If you use the regular method, deductions for a home office are based on the percentage of your home devoted to business use. Energy-savings deductions: If you installed a geothermal heat pump, small wind turbine or solar energy system in your home in 2013, you may be able to claim a tax credit for up to 30 percent of the cost of installation. The credit has no upper limit and applies to both existing homes and new construction, but not to rental properties. This credit runs through the end of 2016. You can also get a credit of up to 30 percent of the cost of residential fuel cells, up to $500 per 0.5 kilowatt of power capacity. This credit also expires Dec. 31, 2016. Clergy, military housing allowance: Ministers and members of the U.S. armed services who receive a housing allowance that is not taxable can deduct their real estate taxes and home mortgage. Even better news? 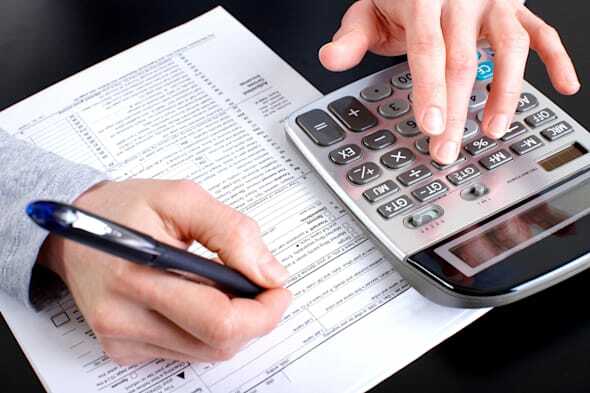 You don’t have to reduce your deductions by your nontaxable allowance. As promised, here’s a look at the most expensive house that sold in DC in 2013! 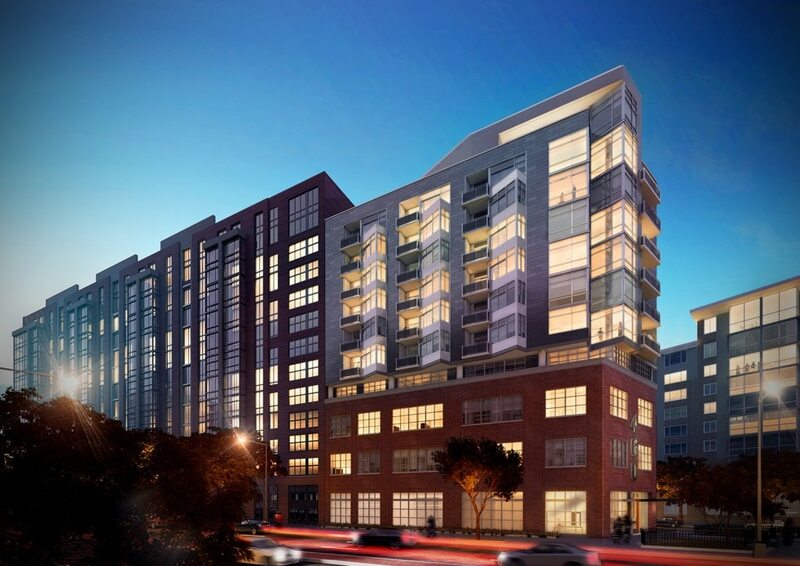 And the winner is (drumroll please)…3044 O ST NW, WASHINGTON, DC 20007! It was listed for $9.25 million, and closed for $8.6 million. 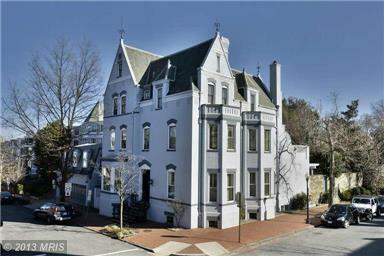 Located in the heart of Georgetown, this historic Queen Anne style mansion is gigantic: over 11,000 sq. ft! The 9-bedroom, 7-bathroom home has 12 fireplaces (12?!?! ), a large outdoor space complete with swimming pool (! ), and a 3-car garage. Phew. Listing courtesy of William F.X. Moody with Washington Fine Properties.